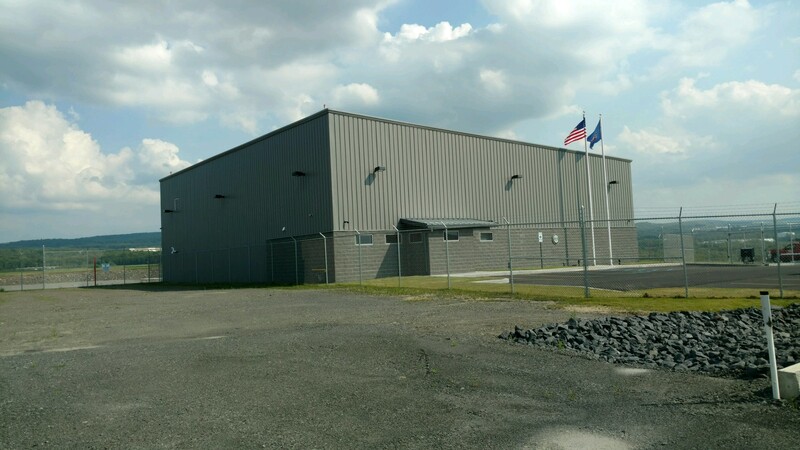 In 2016, MBC Development was awarded the bid to construct a brand-new aircraft hangar for the Pennsylvania State Police on the grounds of the Wilkes-Barre/Scranton International Airport in Avoca, Pa. The new hangar was a replacement for a decades-old hangar located at the Hazleton Regional Airport. The new police hangar consists of a one-story 8,800 square feet building that houses a Bell 407GX helicopter and other miscellaneous aviation equipment. The facility is also equipped with a state-of-the art office that can accommodate troopers and pilots on a 24/7 basis. The new building was built to better serve the needs of the State Police as well as the residents of Pennsylvania. The Pennsylvania State Police moved in to their new hangar in April 2017.